An often-encountered obstacle when using brushware for cleaning purposes is that the brush bristles clog with the debris and soil that is to be removed. This can happen with virtually every type of soil or food stuff. When it happens, you will find that the efficacy of the brush and the efficiency of your cleaning efforts will decrease significantly. You will also find that, if the brushware is not properly cleaned between uses, the clogging will only get worse with further use - and it will become more difficult and time consuming to clean. More seriously, if the brush is not cleaned properly between use, the debris trapped in the brush can attract pests and turn the brush into a source of contamination. A study conducted by Campden BRI, found that 47% of the cleaning equipment sampled was contaminated with Listeria Monocytogenes. This suggests that the cleaning of cleaning equipment is extremely important. Two of the largest global food safety standards, BRC v. 7 and FSSC 22000, also recognise the importance of cleaning the cleaning equipment. Consequently, not cleaning your cleaning tools could have serious implications with regard to your product safety and quality. This could result in costly product rejection and recalls, harm to the consumer, and a non-compliance from your auditor. When it comes to optimising your food safety with regard to cleaning tools, the appropriate selection and maintenance of the tools you use are essential. 1. New UST technology ensures that the deep holes and crevices that you see in drilled and stapled and resin set brushware are eliminated. This takes away a serious contamination trap. 2. The unique bristle pattern, not only aids efficacy, but also ensures that the brush is easier to clean between bristle bundles, and significantly reduces bristle clogging. At Vikan we recommend that a risk assessment is conducted to ensure the optimal cleaning procedure for your cleaning tools. There are many variables such as the food stuff you produce, the surface to be cleaned, wet or dry cleaning needed, direct or non-direct contact with food, the chemicals you use etc. The decision tree below can be used as a generalised guide to the thought process that needs to be applied when considering cleaning of your cleaning tools. 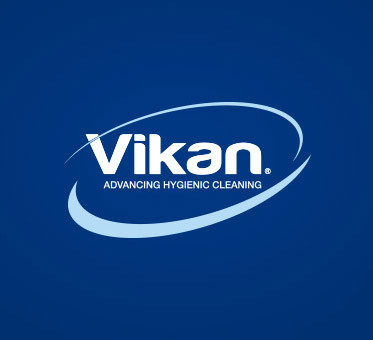 However, for more comprehensive advice and guidance, please download our White Paper ‘Optimising Food Safety Through Good Cleaning Tool Maintenance’ or contact your local Vikan representative. Help us solve your cleaning problems – why not trial Ultra Safe Technology and see whether it can help you improve food safety and quality, cleaning efficacy and audit compliance. We offer free samples of Ultra Safe Technology brushes and brooms. Please fill in the form on the website here, or contact Vikan customer service.